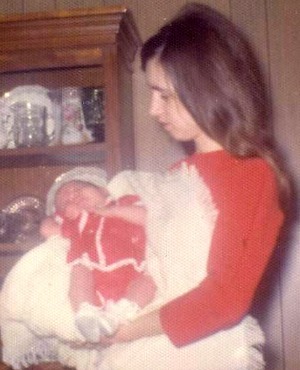 It was my first Mother’s Day as a mom…I had only been a mom for thirteen days. I was physically exhausted and emotionally overwhelmed. Just a few days earlier, my own mother, who had been with me since my daughter was born, abandoned me. She had hugged me tight and said in her calm, motherly voice, “You’re going to be fine. 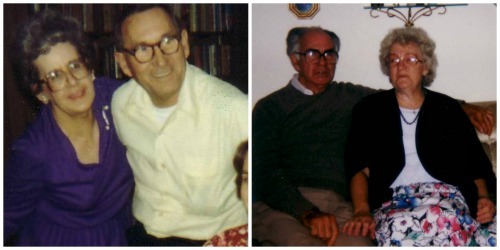 Happy Mother’s Day.” Then she got on a plane and flew home to my dad…as if he needed her more than I did! I cried big, crocodile tears as I held my new baby, right there in the middle of the nursery. I had no idea how this little person and I would make it through the next 8 hours until my husband came home, let alone how I’d manage the next 5 years until she started school. How was I supposed to take care of this little person when I couldn’t even figure out how to put her in the baby carrier? I was a mom, and all I wanted was my mommy. Not only did we make it through that day, we eventually made it through the first year. Then the next, and the next. We even managed to add another baby to our family, and I learned the secret to motherhood: multi-tasking. I could cook dinner with one child in my arms, one around my feet, a dog scratching at the door, and a phone to my ear. Still, there were times I struggled. Nine years into this parenting journey, I now realize those moments are universal…life for moms is simply varying seasons of insanity. Some are less chaotic, but all are some level of crazy. And hard. And stressful. My Grandmothers To the untrained eye, my grandmothers couldn’t be more opposite: One raised her only son as a single mom, working a 9-5 to keep the bills paid; the other worked at home, caring for her four children and any neighborhood kids who might need a safe place and a loving hug. One was a genius in the kitchen, with a specialty for comfort foods and chocolate chip cookies; the other’s culinary repertoire included only macaroni and cheese. One would not live long enough to see me marry or to meet my children; the other carries on, serving her kids, her grandchildren, and her great-grandchildren. Although very different, each of these women served her family faithfully through long days of hard work. I’m sure there were many times they didn’t feel like getting out of bed to go to work or take care of a family…Those weary days we mamas know so well. But they did it with a warm smile and eager hands, because that’s what a mom does. My Mom When I was younger, my mom represented all I had yet to learn and all I wanted to be. Married at 19 and a young mom at 20, I’m sure she wondered often if she was making the right decisions for her children, for her family. I’ve watched her sacrifice much over the years. She has worked alongside my dad in ministry and stretched grocery money to feed her family. She has sacrificed her own desires to create lasting memories for her children and now for her grandchildren, because that’s what a mom does. My mother-in-law I’ve heard it said that men marry women who remind them of their mothers. If that’s the case, I am truly honored to be in the same category as my mother-in-law. She and my father-in-law saw some difficult times over the years, suffering job losses that uprooted their young family. She worked hard, right alongside her husband, to put food on the table and raise three kids born within four years. The days were long and I’m sure her energy gave out long before her to-do list was accomplished. Still, she got up every day and did it all over again, because that’s what a mom does. Thanks to the examples of these women, I have learned what motherhood is truly about; I have learned to be thankful for what the chaos represents…a home, and a life, filled with love and family. To my mom, my grandma, my mother-in-law and the many other women I am honored to call family….thank you for your love, your example, and the legacy you’ve given me and my children. 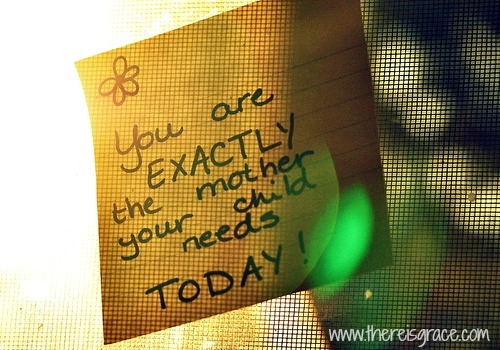 To moms everywhere…I know you don’t need to hear it, but you really are the rock stars. What a beautiful memory, Amber! Thank you for sharing! Thank you for your encouraging article. It feels so good to step back sometimes and realize that others feel the same as I do. I try every day to remember that God sent me these children knowing what they and I need. Such wisdom, Angela! Thank you for sharing! “Life for moms is simply varying seasons of insanity.” What a fabulous truth. I wish I’d known that years ago. Thankfully it all levels out and the ride is totally worth it! So, true, Deb! Thanks for leaving a comment. What a beautiful tribute to the mothers in your life! Happy Mother’s Day! Thank you, Barbie. I know this is late, but I hope you had a wonderful Mother’s Day as well! When I was growing up, my Mother was a stay at home Mom. She taught me and my two sisters about everything from movie stars to the civil rights movement (starting when I was young). She taught me about God’s love and how He wanted me to behave. 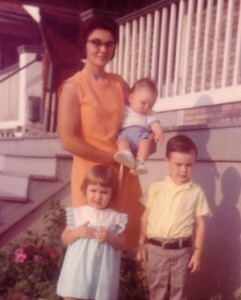 My Mother sacrificed greatly for her three girls, having two dresses to wear to church alternating each week between the two. She made five dresses for each of her girls each school year (total 15 dresses). I couldn’t have had a better example in life than I had, as I believed I had THE BEST MAMA IN THE WORLD! Peggy, thank you for sharing such beautiful memories of your mother! Such a beautiful and moving tribute, Nancy. Lovely thoughts! Thanks for sharing and the pictures are sweet:) Saw your link at Wise women link up.